I'd love to hear what you are having for dinner this month!! Please share recipes or cookbooks you are using to plan your meals. If you blog about it, post the link in the comments below! 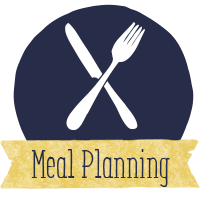 Let's conquer this meal planning business together!! !